Has Hedge Fund Ownership in Welltower Inc. (HCN) Finally Bottomed Out? A whopping number of 13F filings filed with U.S. Securities and Exchange Commission has been processed by Insider Monkey so that individual investors can look at the overall hedge fund sentiment towards the stocks included in their watchlists. These freshly-submitted public filings disclose money managers’ equity positions as of the end of the three-month period that ended September 30, so let’s proceed with the discussion of the hedge fund sentiment on Welltower Inc. (NYSE:HCN) . Hedge fund interest in Welltower Inc. (NYSE:HCN) shares was flat during the third quarter. This is usually a negative indicator. 20 hedge funds that we track owned the stock on September 30, same as on June 30. 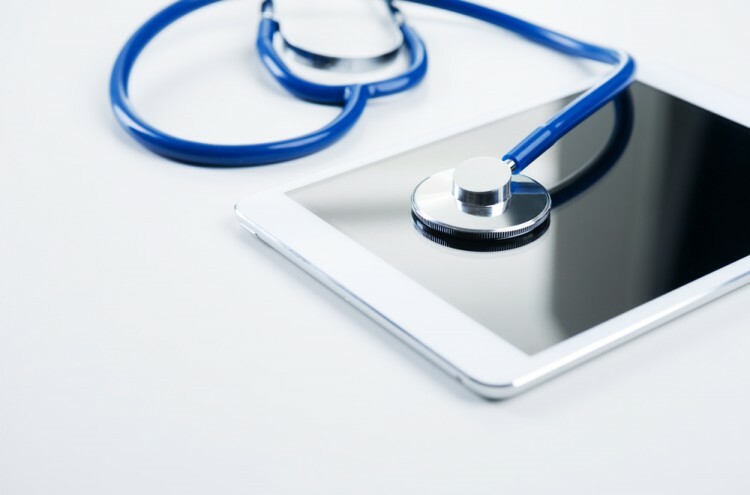 At the end of this article we will also compare HCN to other stocks including Anadarko Petroleum Corporation (NYSE:APC), Sherwin-Williams Company (NYSE:SHW), and LIBERTY GLOBAL PLC (NASDAQ:LBTYK) to get a better sense of its popularity. At the end of the third quarter, a total of 20 of the hedge funds tracked by Insider Monkey held long positions in this stock, unmoved from the previous quarter. 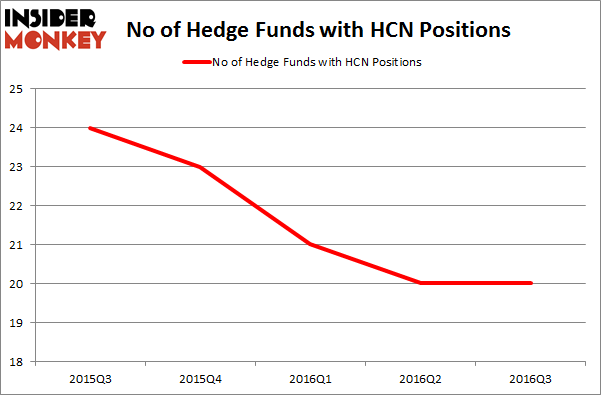 Below, you can check out the change in hedge fund sentiment towards HCN over the last 5 quarters, which has consistently trended down, though by small increments. So, let’s see which hedge funds were among the top holders of the stock and which hedge funds were making big moves. According to Insider Monkey’s hedge fund database, AEW Capital Management, led by Jeffrey Furber, holds the most valuable position in Welltower Inc. (NYSE:HCN). AEW Capital Management has a $285.7 million position in the stock, comprising 5.9% of its 13F portfolio. On AEW Capital Management’s heels is Renaissance Technologies, led by Jim Simons, which holds a $154.1 million position. Remaining members of the smart money that are bullish contain Israel Englander’s Millennium Management, Phill Gross and Robert Atchinson’s Adage Capital Management, and Cliff Asness’ AQR Capital Management. We should note that none of these hedge funds are among our list of the 100 best performing hedge funds which is based on the performance of their 13F long positions in non-microcap stocks. 5 Stocks Hedge Funds Are Betting Against Insiders Five Dow Jones Stocks That Can Outperform The Market Constellium NV (CSTM): This Metric Is Giving A Huge Buy Signal The Big Short’s Michael Burry Reveals His New Stock Picks 5 Micro-cap Stocks Billionaires Love The Most Is Becton Dickinson and Co (BDX) A Good Stock To Buy Right Now?